Who says traveling in Tokyo is expensive? I decided to challenge myself and see if I could figure out how to stay full with only 2000 Yen in my pocket. Also note, I didn’t include the cost of transportation in my budget. Here’s what I managed to buy. Even after my three meals, I still had 853 Yen left over. Enough to buy me another bowl of noodles. As you can see, there are ways to eat cheaply in Tokyo, just don’t expect to be full. 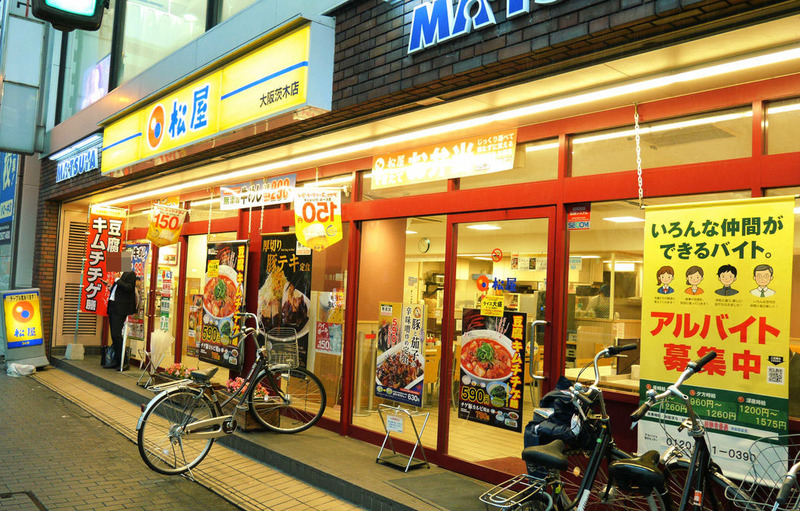 Matsuya, Sukiya, and Yoshinya – These franchises serve gyudon, other donburi, and curry. Most of the meals range from 400 to 600 Yen. Konbini – These convenience stores include 7/11, Lawson, and Family Mart. You can find one of these franchises on almost every corner throughout Tokyo. They sell a large variety of foods (including sandwiches, sushi, bento boxes, and more). For around 600 Yen, you can probably get a decent meal. What is the cheapest restaurant near here? What is the cheapest drink? ©Copyright2019 Stories of ili Travelers.All Rights Reserved.